The New Zealand dollar is gaining ground this week against the Yen and the US Dollar. The overriding theme has been Yen weakness, which has been subject to a safe-haven premium unwind following the US invitation to senior Chinese officials for fresh trade negotiations, and also the higher Oil prices. 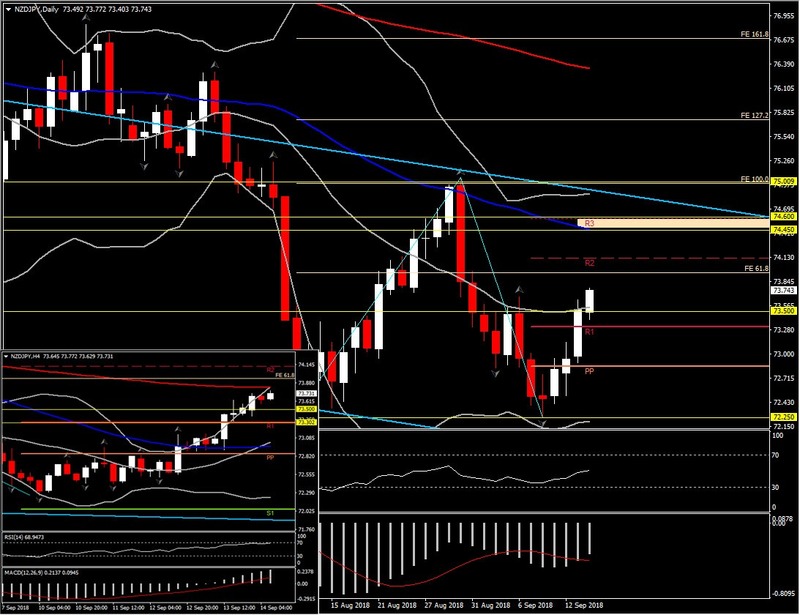 The NZDJPY crossed yesterday into the upper Bollinger Bands pattern after ebbing to a 24-month low on Monday at 72.25. 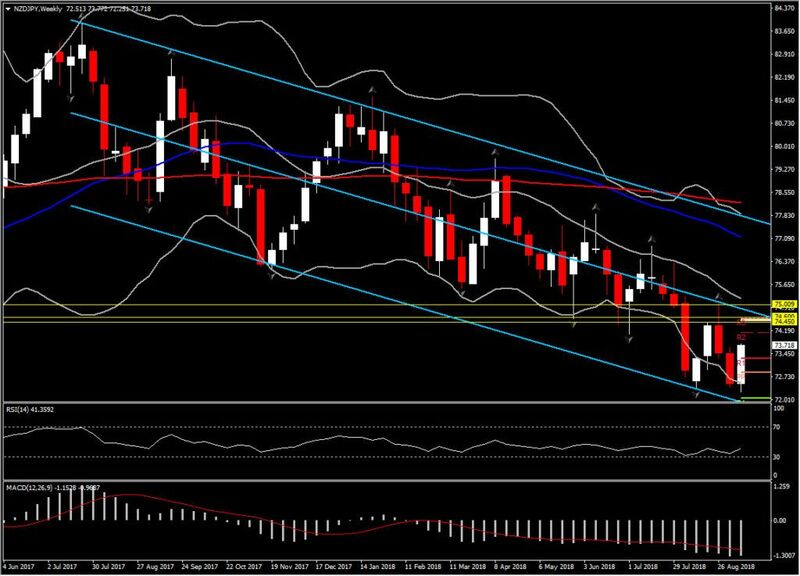 The pair has been following a bearish linear Regression Channel since July 2017, something that is likely to continue in the long term, since no break to the upside of the channel has occurred so far. In the medium term though, the rebound from a 2-month low on Monday, away from the lower line of the channel, gave signs that the price action may be due for a change in direction. This, along with the closing above the 20-day SMA yesterday, confirmed that the outlook in the medium term has been turned from negative to positive. Technically-wise the same bullish picture is seen in momentum indicators as well, as daily RSI just crossed above neutral zone with higher lows being noticed since mid-August. MACD is moving in the negative territory, however it moves above its signal line today. Also, if we review the 4-hour chart, we can notice that momentum indicators are strongly supporting the bullish momentum for the pair, as RSI is ready to enter into the overbought territory with further space to be covered to the upside, while MACD extends its lines above neutral zone and above its signal line. As the price has decisively closed above 73.50 immediate Resistance level yesterday, price action could move further to the upside, towards a Resistance area reached on August 30, at 74.45-74.60. This is considered to be a strong resistance area at which the pair could reach and the retrace, since it combines the 50-day SMA, the weekly R3 but also the extension of the middle line of the channel. Support is set at 73.00-73.30. If this Resistance area breaks, but more precisely, if the median line gets broken in the direction of the trend, this means that a current impulse wave is likely forming, which could provide for a trend continuation signal. Hence further gains above the middle barrier could then target the area around the FE127.2 and August peak, at 75.75-76.30 area. However, please note that the pair, in the long-term, remains within the bearish regression channel, hence in the case of a clear reversal to the downside, doors for the continuation of the downtrend will open again. Intra-day, immediate Resistance level is set at 74.00 and Support is set at 73.50 based on the hourly chart.